I’m sorry. I can’t type the word countdown without hearing that song in my head. And no that’s not the original album cover. I jazzed it up a bit for the season. 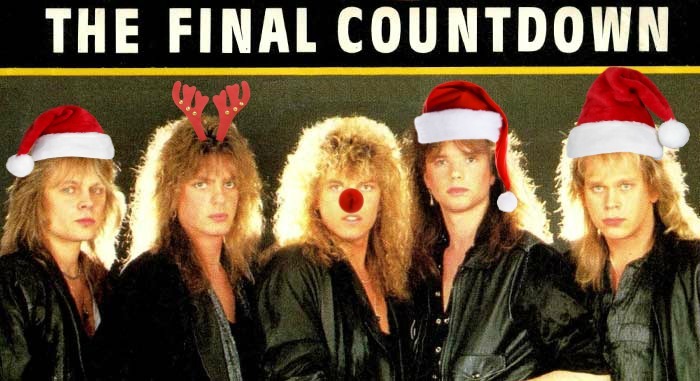 Speaking of seasons, did you know Christmas is just a short 10 (by the time you read this 9) days away? Are you freaking out yet? Pretty sure the better part of Chicagoland is. I can say this because I experienced their craziness first-hand while out shopping yesterday. Blame it on the late Thanksgiving or the coldest December on record, but Christmas is coming and no one seems to be ready, yet. We got hit with a big snowstorm this weekend which put a royal kibosh on our plans to travel to Indianapolis for this little one’s 1st birthday party. Apparently someone heard the theme was winter ‘one’ derland and took it ever-so-literally. 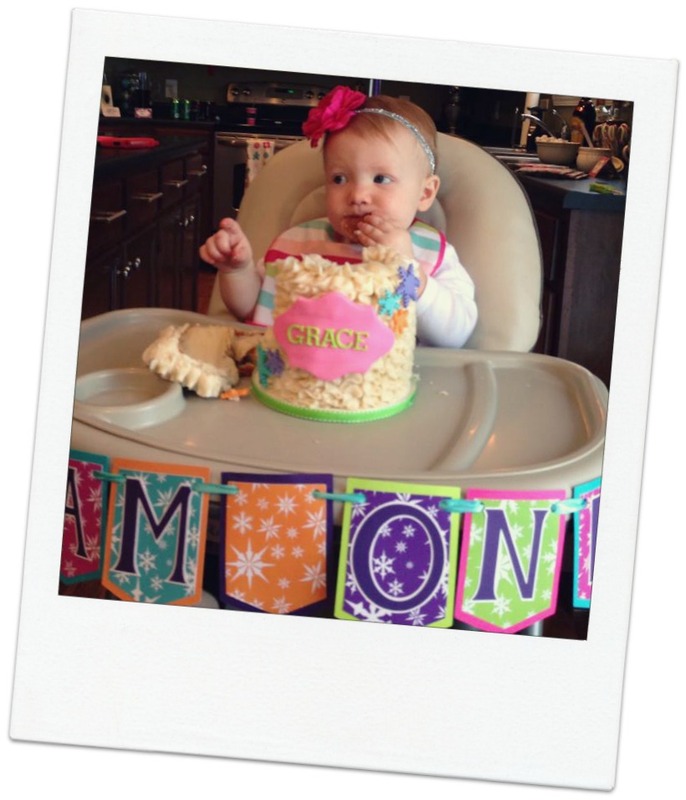 So Grace turned one. It seems like just yesterday we were celebrating her upcoming arrival with a cute little baby shower and now she’s on her way to becoming a teenager. I remember when you were a tiny little baby! Someone slap me if I ever resort to cheek-pinching though. 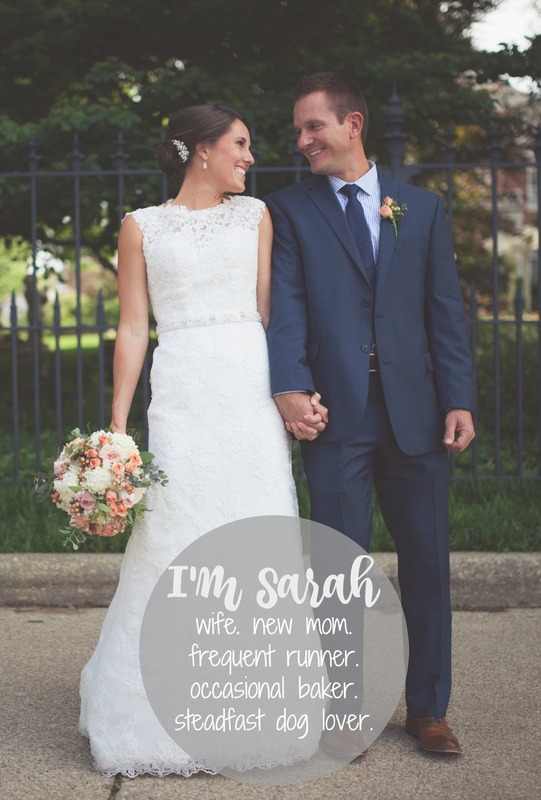 As bummed as I am to have missed the celebration, I got to ogle over the party details thanks to technological advances like the iPhone and Facebook. Plus, because Christmas is only, wait for it, 9 DAYS AWAY, I get to see my friends very soon. 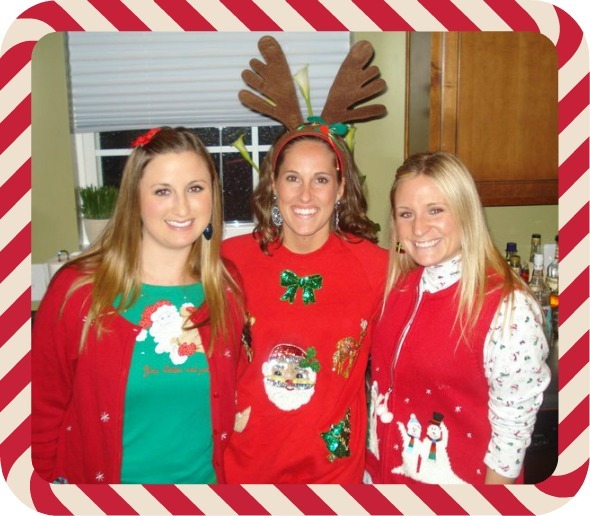 Then we can reminisce about the times we were tan and wore ugly Christmas sweaters. I did manage to start my holiday baking this week. And by baking I mean that I dipped some Oreos in white chocolate and decorated them with sprinkles. I was snowed in and unprepared. Regardless of my lack of ingredients, these holiday Oreos really are revolutionary folks. 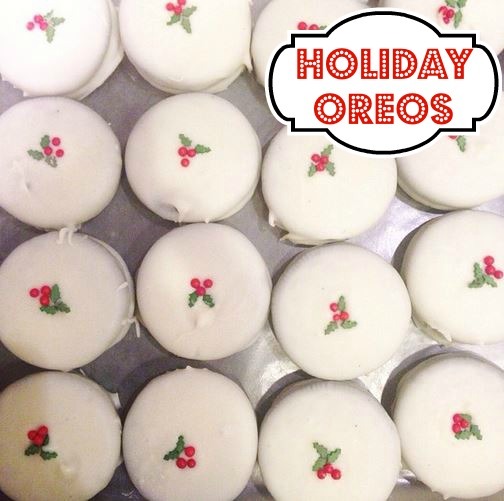 I’ve made these nearly every year 1) because I refuse to pay extra for 7 of the white fudge Oreos that taste like rubber and 2) you can make them a week ahead and add them to your holiday assortment, should you be the crazy type that gifts a holiday assortment of treats each and every year no matter how intense your battle with royal icing becomes. I hope to have more treats to share with you later this week. Virtually of course. You know so you can get ideas for holiday cookies without enough time to actually make them in time for the holiday? Just kidding. Kind of.